A Rotary Club of Northwich Vale Royal Event. Guest speaker Raj Chandarama will be talking about the controversial and highly emotive subject of HS2 - the implications and opportunities it presents. Mr Chandarama who represents the Northern Office of HS2 will give a talk on the subject followed by an open forum. The cost of admission is £10, payable upon arrival and the price also includes a buffet meal. The doors are open at 7pm for a start at 7.30pm. If you would like to come along to what promises to be a very informative evening, please confirm by email to rcnvr@btinternet.com. Numbers are restricted so do not delay. Northwich Guardian HS2 Poll here. Information on the consultation process here. Map of section of HS2 passing Northwich here. 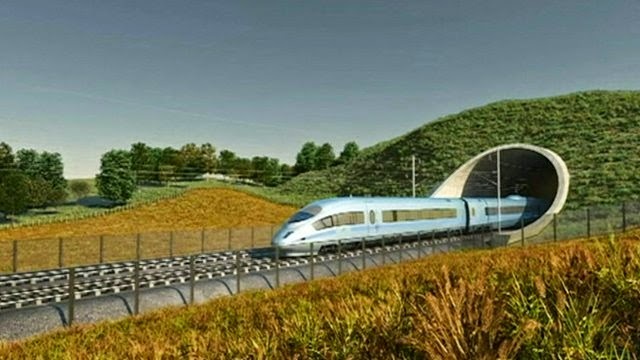 Northwich Guardian Special Reports on HS2 - Part I and Part II.